Water and Wastewater Monitoring Products. Teledyne Isco, Inc. is a leading manufacturer and supplier of rugged, reliable in-plant and field-portable instruments for monitoring water quality and pollution. 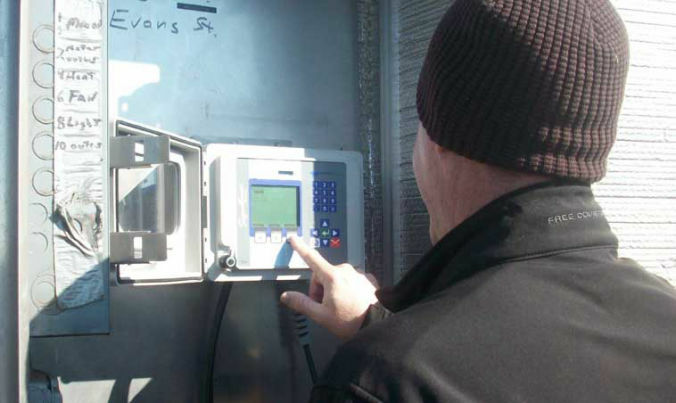 Isco environmental products include refrigerated and portable automatic wastewater samplers; open-channel flow meters with acoustic-doppler area velocity, ultrasonic, bubbler, and submerged probe measurement technologies; and Flowlink ® software for comprehensive flow data handling and analysis. Communication options including GSM cellular modem, 2-way radio, and Modbus provide information delivery solutions for a wide range of site and project requirements. 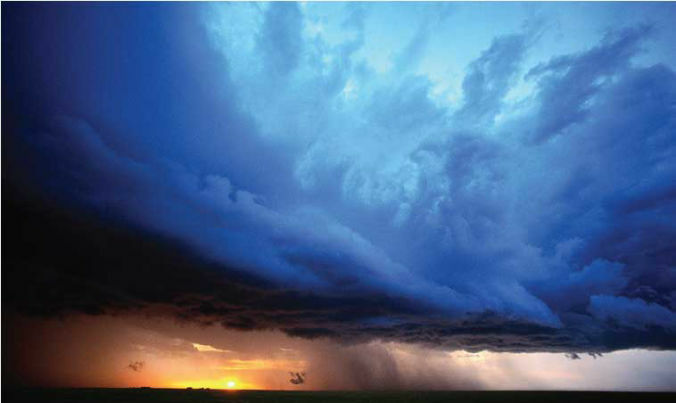 No matter how challenging the application or site conditions, Teledyne Isco offers a proven technology for your needs. AV sensors continuously transmit an ultrasonic signal from within the flow stream. is then calculated by multiplying the area of the flow stream by its average velocity. are echoed back after contacting bubbles or particles. signals (known as Doppler shift), the velocities of particles in the flow stream can be accurately determined. By “range gating” the returned signals, velocity is measured in multiple, distinct cells, called velocity bins. Detailed velocity data in relation to sensor location is then used to calculate a highly-accurate flow profile. Especially useful in flow streams affected by harsh weather, debris, or corrosive chemicals, bubbler technology forces compressed air from a submerged tube. The depth of flow is determined by measuring the pressure needed to force the bubbles out of the line. That information is then converted into the flow rate using known parameters. 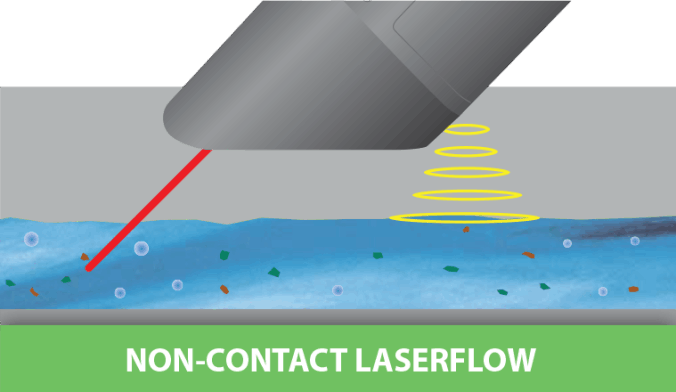 The LaserFlow sensor remotely measures flow in open channels with non-contact Laser Doppler Velocity technology and non-contact ultrasonic level technology. The sensor uses advanced technology to measure velocity with a laser beam at single or multiple points below the surface of the water. A non-contacting ultrasonic transmitter measures the liquid head height to determine the wetted area. Multiplying the wetted area by the average velocity yields the flow rate. Flow during surcharge conditions can be measured with an optional, integrally-mounted continuous-wave Doppler area velocity sensor. 2100 Series Flow Meters. Isco's 2100 Series offers flexible, modular design and easy configuration for a wide range of networked, open-channel flow monitoring applications including; Inflow and Infiltration studies, cMOM data collection, and river monitoring. Compact, stackable, NEMA 4x, 6P (IP67) modules snap together to provide the capabilities needed for practically any site and monitoring requirement. Signature® Flow Meter. The Signature flow meter is designed for open channel flow monitoring applications. 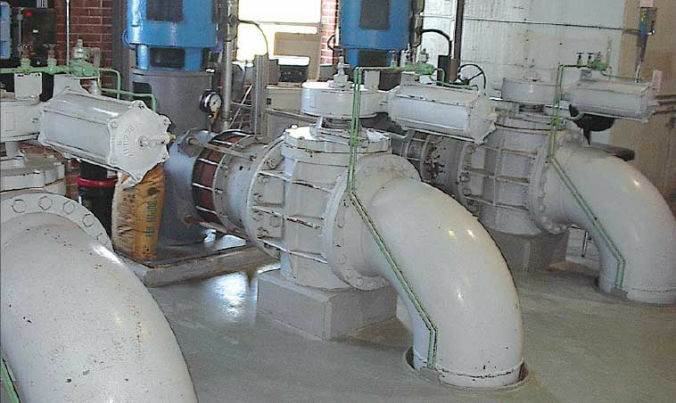 It supports flow measurement technologies including bubbler, noncontact laser area velocity, submerged Doppler ultrasonic area velocity, and ultrasonic. to validate data accuracy. Data can be easily reviewed to detect any type of data alteration. logging (such as pH), the Signature flow meter provides a common platform for control action, reporting, and communication. Isco Non-Contact LaserFlow™ Velocity Sensor. 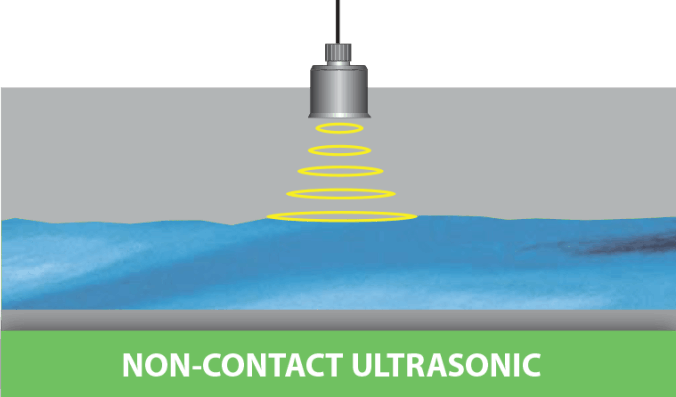 The LaserFlow™ remotely measures flow in open channels with non-contact Laser Doppler Velocity technology and non-contact Ultrasonic Level technology. 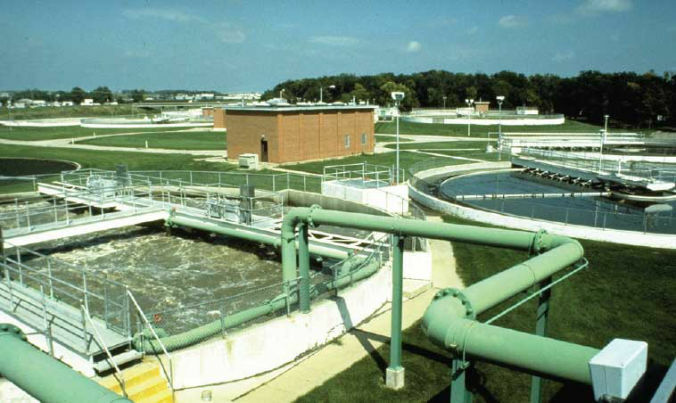 wastewater monitoring applications. It is compatible with both the Teledyne Isco Signature Flow Meter and the Teledyne Isco 2160 LaserFlow Module, depending on the type of installation. During submerged conditions, flow measurement continues without interruption with optional Doppler Ultrasonic Area Velocity technology. With its specially designed mounting bracket in place, the LaserFlow can be deployed and removed from above ground, eliminating unsafe and timeconsuming confined space entry. A variety of communication options enable programming and data retrieval from a remote location. Information about data quality can be recorded and transmitted alongside the flow data. ADFM Velocity Profiling Flow Meters. Isco's ADFM family of flow meters leverage patented ADFM technology, which uses multiple pulse Doppler beams instead of a single continuous wave transmission. As a result, the ADFM obtains highly accurate and precise flow measurement data. Ideal for open channel flow monitoring in non-potable water, ADFM technology delivers exceptional accuracy and precision at sites with difficult hydraulic conditions; no in-situ calibration is required. Street Level Installation Tool. Measuring flow and water quality in sewers is now fast and easy. The Isco Street Level Installation Tool lets you install your monitoring system from ground level, eliminating the costs and hazards of manhole entry. 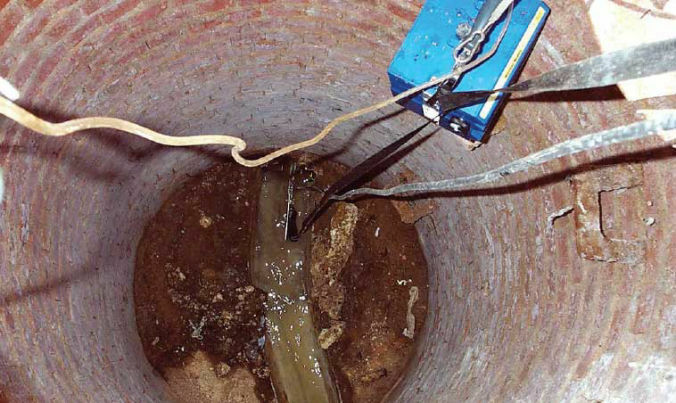 Pole sections can be combined to access pipe as deep as 15 feet. Use the Street Level Installation Tool with the following Isco flow and parameter sensors: Area Velocity Sensors, Submerged Probes, Bubble Lines. Flowlink Software 5.1. 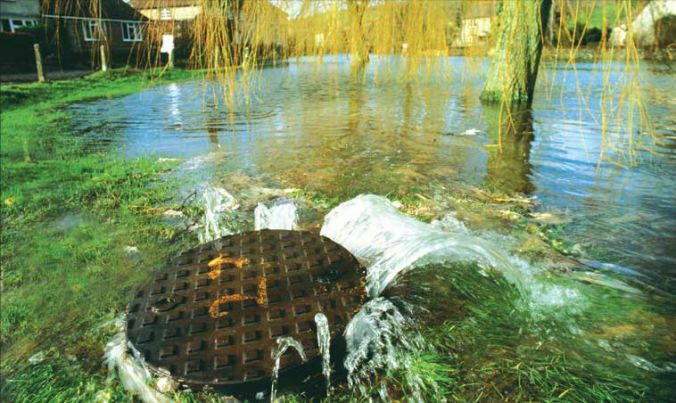 New Flowlink 5 ® Software from Teledyne Isco is designed to serve as the centerpiece of comprehensive sewer flow monitoring programs. In addition to automating many data retrieval and reporting tasks, the Flowlink Version 5 release includes advanced analytical functions, powerful editing capabilities, and data integration features. Flowlink provides powerful single-site and multi-site data management for a wide range of applications. Flowlink Pro has all the features of Flowlink, but is specially designed for large municipalities and service providers who manage extensive waste water flow monitoring networks. Flowlink Pro adds advanced data communication features using internet protocols, and support for centralized Oracle® and Microsoft® SQL databases.